I really need this sign at my house! 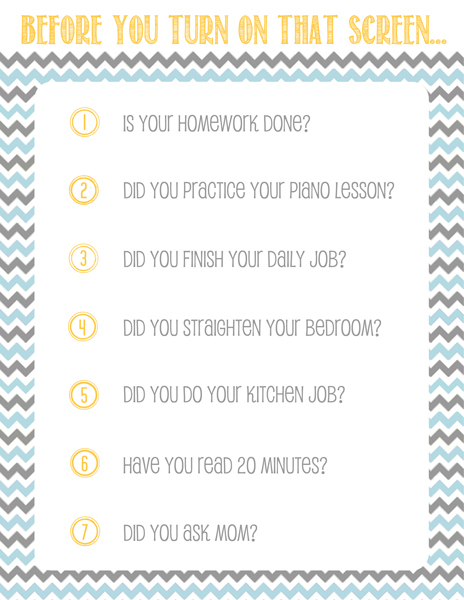 It’s nice to know that I am not the only one who has to nag their children. Great ideas! This is also a big problem here, so we went no electronics Sunday night to Friday after school. It helped improve attitudes a lot! 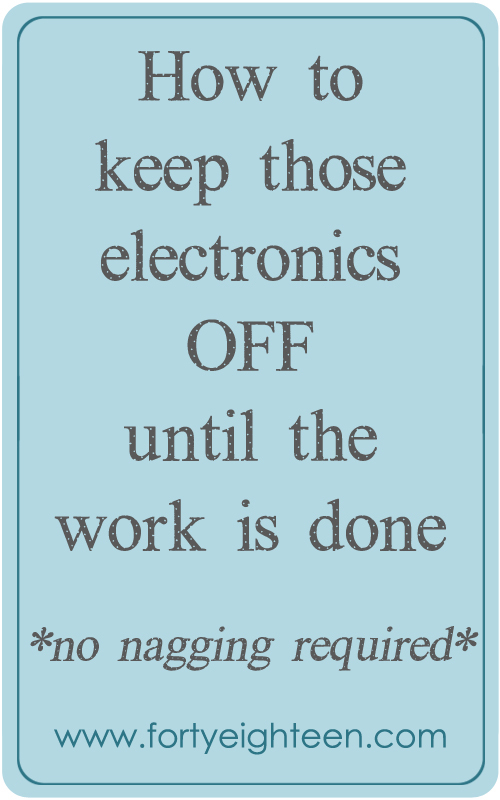 I definitely need to implement a “no electronics” week, but I haven’t done it yet. It NEEDS to happen this summer. My kids are adults, but when I keep the grands…! This is such an electronic age. I finally instituted a no electronics at Nini’s rule. None. Well, I do allow a movie after reading time. Such a great idea! Kids need to come up with their own entertainment sometimes so they can learn to be creative.